Eye health and vision examinations at Medina Vision and Laser Centre are comprehensive and include a look into your overall health. In addition to a careful check of glasses and/or contact lens prescriptions, exams include screening of depth perception, color vision, peripheral vision and blood pressure. We offer the OPTOMAP® retinal imaging system; awesome technology designed to provide an advanced internal eye health examination as well as an increased comfort level during your visit. The best news….this retinal scan allows our doctors to fully evaluate the back of the eye and look for signs of retinal disease, WITHOUT the use of dilating drops. 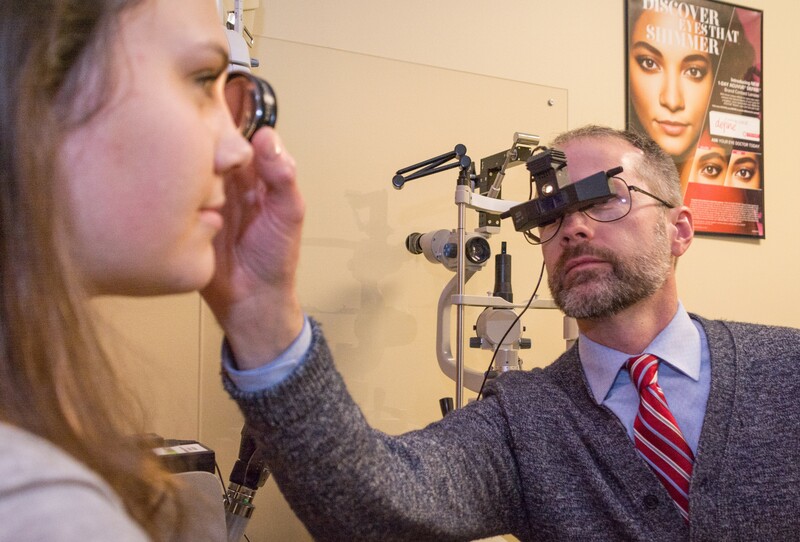 Our doctors look for signs of underlying health conditions, such as diabetes and hypertension, and screen the ocular systems for signs of primary eye disease. They provide guidance and treatment options about any and all conditions that are found.